If your looking for a little more from your bedside clock than just the time then this Ambient Flurry Weather Station & Clock might help provide that vital information you’ve been missing in the morning. 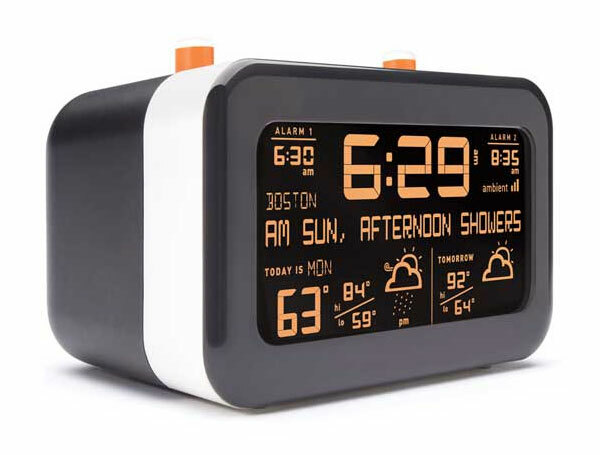 Ambient devices have launched their first alarm clock and combined weather station. It automatically connects to Ambient’s free InfoCast wireless network, so you have the benefit of accurate network time and also tunes in two-day weather information for 150 U.S. locations. It also has dedicated dual alarm controls and indicators make the alarm clock intuitive and easy to use.